Pre Wedding Photos in Paris. 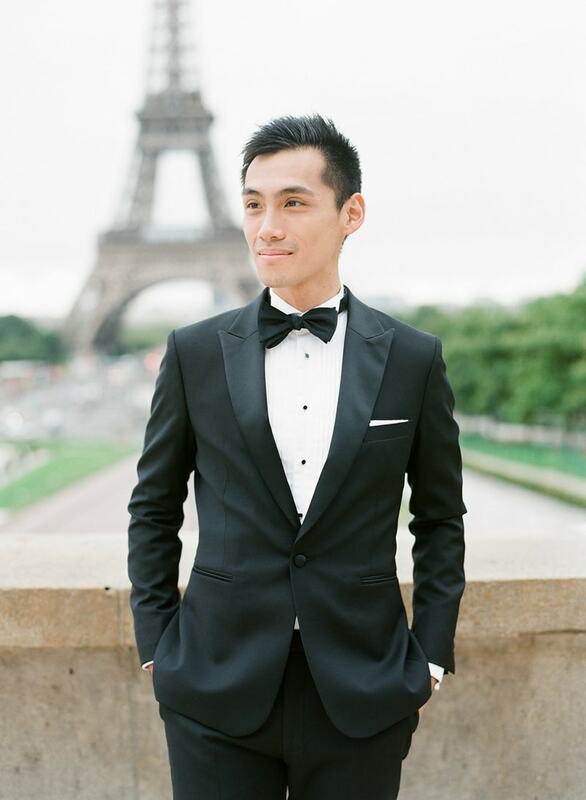 Singapore couple Daryl and Baldwin are hopeless romantics so the decision on where to take their pre-wedding photos was an easy one – Paris. And even though the weather wasn’t on their side, the raindrops kept many indoors, leaving the couple to roam the city relaxed and stress-free. While most brides choose various styles and looks for their engagement photos, Daryl definitely highlights her bridal beauty. She starts by wearing a long veil over her curled locks. She dons a strapless blush pink gown. It features a mermaid silhouette and dramatic skirt. 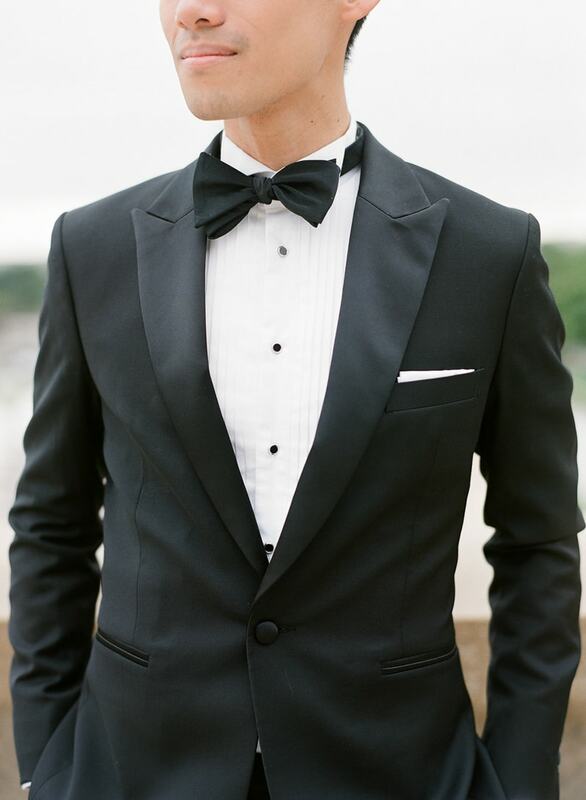 Baldwin complements her elegant look in a classic black tuxedo with a black bow tie. He even momentarily joins her underneath her veil. 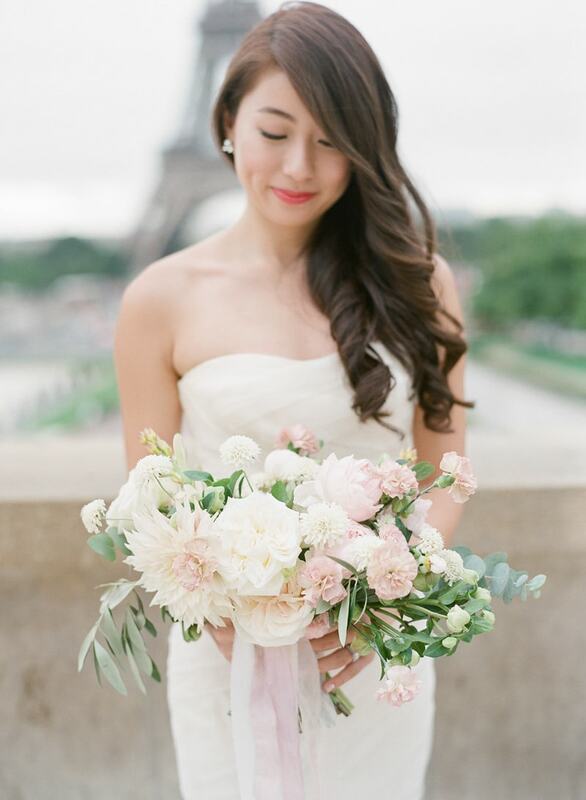 When she removes the veil, one can see the blush-colored roses and carnations, assorted white flowers, and baby eucalyptus that make up her bouquet. As she turns her back to the camera, the elegance of her gown is elevated thanks to the Seine River and the faint appearance of the Eiffel Tower in the distance. The ruched bodice of her gown is flattering and modern. The photographer grabs an up-close shot of her beautiful engagement ring as she rests her arm against the bridge. Baldwin has a polished charisma and it shows through his handsome and sophisticated style. Of course, they had to capture Paris’ most famous landmark. The imposing Eiffel Tower is another personality in their photos, a detail that can’t be missed. The Alexander III Bridge evokes refinement with its ornate lamp posts and gilded details. It provides the perfect spot to pause along the Seine. They make their way over to the Quais de Seine to experience the river from another vantage point. As cars and busses whizz by them, the couple maintain their composure and grace as they continue their photo session. Even with gray skies, Daryl and Baldwin emit a brilliance as they embrace for a few last photos. Much like Paris itself, Daryl and Baldwin’s pre-wedding photo shoot emits romance and sophistication that’s hard to find. 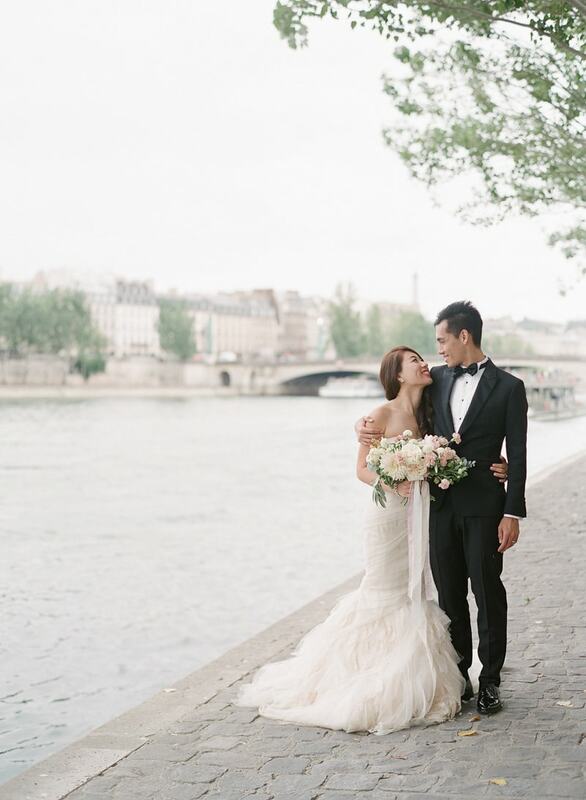 With their statement styles and genuine passion, this couple found no better place to capture their engagement than the City of Love.